The original NC machines were all hard-wired and as such, they were not capable of changing their pre-set parameters. combined to form a new programming language called parametric programs.Machines that feature parametric programs allow the operator to make adjustments on-demand and makes it easier to access important system parameters. The primary advantage of CNC machining is that it allows for greatly improved accuracy, efficiency, productivity and safety over other forms of metalworking equipment. With CNC machining equipment, the operator is placed less at risk and human interaction is significantly decreased. In many applications, CNC equipment can continue to operate unmanned over the weekend. If an error or a problem occurs, the CNC software automatically ceases operation and calls or pages the off-site operator. machining, waste is decreased–which minimizes loss and increases profitover costs. Speed. 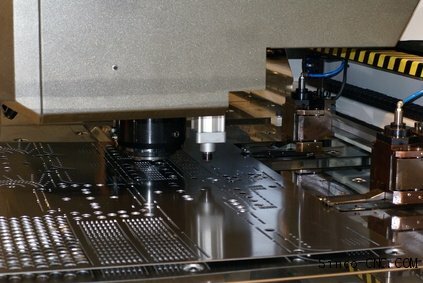 CNC machines can quickly produce parts that would normally take multiple steps to manufacture otherwise. Improved Efficiency. CNC machines are the most efficient means of creating a component due to the fact that most feature internal quality assurance detectors. The minute an error or deficiency is detected in a product, the operation is stopped to prevent further waste of material.